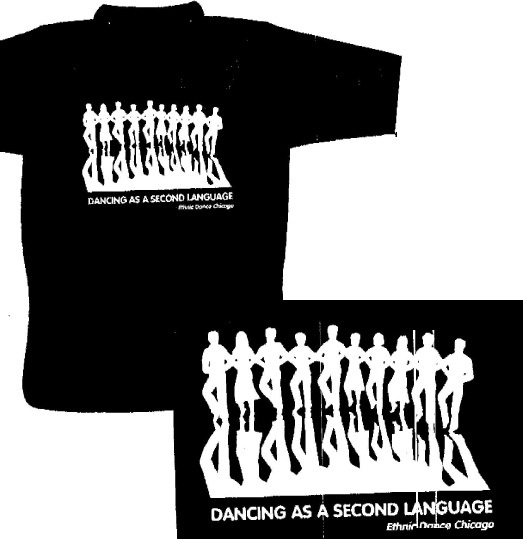 Support the programs of Ethnic Dance Chicago by buying "Dancing As A Second Language" T-Shirts in five attractive colors - available at EDC events or by mail order. 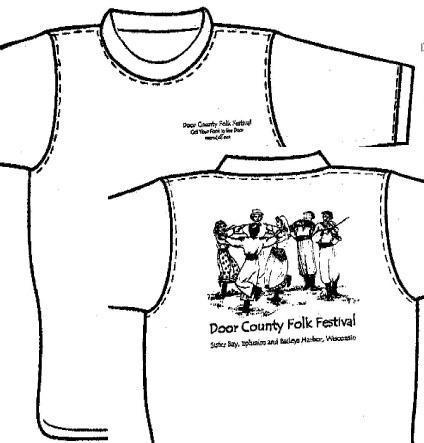 Cost: $16.00 ea, 2 or more $15.00 ea. For years, Festival participants have requested that we offer an alternative to non-recyclable beverage containers. To promote a “Greener Festival” and to reduce the use of non-reusable containers and to support the Work Scholar Fund the Festival offers DCFF beverage mugs that work for either hot or cold drinks. You can use these at the Festival and carry them home in your car’s cup holder. 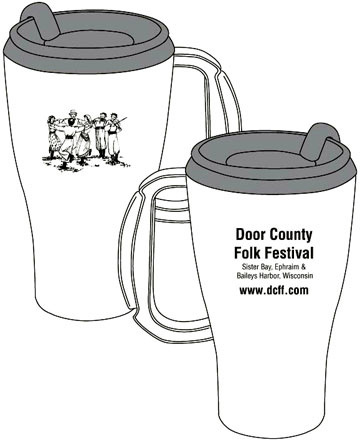 These attractive mugs come in four colors (silver, white, yellow and pink) and are available at the festival or by mail order. Cost: $5.00 ea, 2 or more $4.00 ea. 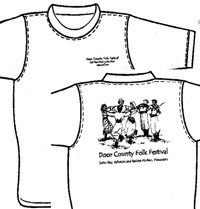 To support the Work Scholar Fund the Festival offers DCFF DCFF T-Shirts in five attractive colors and are available at the festival or by mail order. 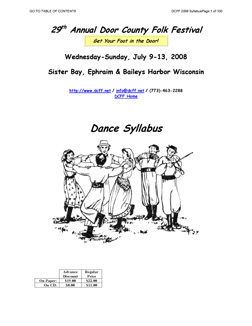 For those of you who did not obtain the dance syllabus at the Festival, the syllabus is available on Paper and on CD by mail order. 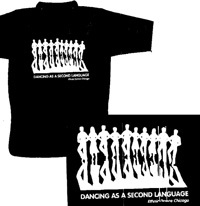 For those of you who did not obtain the dance music at the Festival, Dance Music Media are available by mail order.